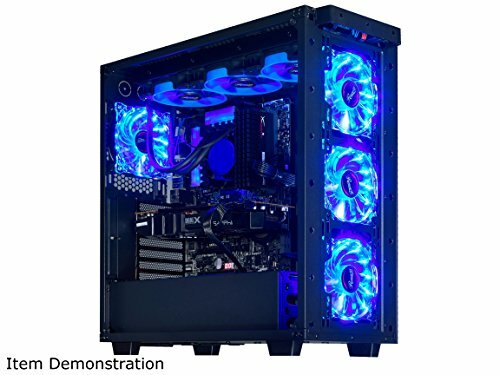 After a blue , red build I want it to have some rgb in my pc . This is my third build this year (for my self) and I really like it . Building pc`s became an addiction so I start building them for free because its fun . I don't really do any work with computers so its mainly for gaming . I know many will say its an overkill but I have seen people spending on a gaming computer a lot more then me . let me know what you think . Just a quick question. How many Hue+ controllers did you need? You can run up to 10 fans on 1 HUE+ so I have 6 fans , 3 per channel . Yeah, not all games support sli but a lot do so I'm kinda tired of hearing this. A 1070 will play all games well enough. To be honest I was gonna get one Titan or 2 1080 but friend of mine was selling these two because he need money so I got them for $250 each . And these gpu`s r like 3 months old . dang dude thats a steal! I want friends like your. I'd have done that deal! Of course lol even $300 its a grab . I will , any good places to buy ? I got Some costume sleeved cables for my friend . Bought them from icemodz , great cables but had to wait like two months . Any other places in USA that make them ? Really good build. You didn't overdo the rgb. Just enough to make it great. Thanks , I appreciate . What SLI bridge do you have? To be honest idk how do you mean but I will try that when I get the sleeved cables . Do u have a link of a build so I can see how it looks? Thanks for the advice . Kinda just like putting the cables in between the two gpu's then going to the back of the case. Honestly , I would but this case is not cable management friendly . Very little space on the back side I could barely push the glass back in place . That's the minus of this case . Also the cover that goes next to gpu and covering sata cables and 24 pin was so hard to get in so I had to force it . If I had to route the gpu cables through there I would not be able to do it . Dang didn't know that, good to know at least. Did you put a review in for the case?? Yes I did . Also its better to get ATX motherboard its kind of tight with e_ATX even tho it fits . If going with m.2 ssd its even better because of less cable . Its possible but tight . If you have 2 gpu`s try to put them in first 2 slots because its hard to connect all the front panel cables , or do it before you install the second card . Other then that its awesome case . Looks sweet! Real shame MSI doesn't like RGB. Hey question for you....i have two 140mm aer fans as well mounted on my rad and i hear some rattling when the rpms fluctuate. Do your hear anything coming from yours? No I don't have that . Mine r pretty silent . i honestly love this build! i also rock a 1070 but you man, you got two! i'll be honest i want to do something like this because its soooooo cooool. Someone who has a perfect RGB build! This by far is the best looking RGB gaming build I've seen after looking for other RGB builds haha! All you need is RGB RAM if it'll look good on your build! Thanks :) I am working on another build and it will definitely have that . In fact I may get a ne trident z rgb it and sell mine . I love it . I read lots of comments good and bad about them and I just went for it . You never know what can happen down the road so you can never be a 100% sure . I can only say I am glad I got it , looks amazing . And I don't think you would have any issues if you go up to 10 fans . Awesome, thanks for the reply. I was so torn between Thermaltake Riing, and Corsair HD for a long time. Both had such bad reviews I decided I was going to go straight white Corsair ML Pros...then NZXT dropped this bomb and it seems that they designed around all the issues people had with Corsair/Thermaltake. I also like the rainbow effect you can set them to as my keyboard, mouse, and mouse pad do the same thing. wow! this looks dope! 1+! this sli bridge tho! Nice build, but dang those Aer fans are spendy. I prolly would've gone with normal, boring non-RGB fans and saved myself $100. They do look pretty sweet though, gotta admit. Great job! I really want every parts in your system, top notch! Thank you for that . Every new build we do we get better . I try my best and pick the stuff that I like . The best thing about this that I have fun doing it . Hey, look! Another build with a lot of attention because it's over the $2500 price range. Good job! question. what did you use to connect all 5 of those fans? did you use the grid? You connect fan to fan and the end to the port . So I connected three front to one port and the exhaust fan and radiator fans to the other port . Oh cool. Is that just for the power of the LED? the fans still have to connect to the hub? Yes , that is for led only . Connect the other to mobo or fan controller . Helloooo I have a dumb question, is that SLI bridge RGB? I only play Bf4 and StarCraft 2 . 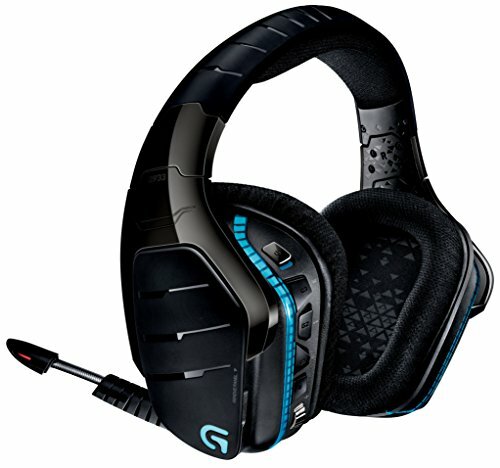 Getting around 200 Fps on Bf4 and 60 Fps StarCraft 2 . It works flawless . Actually , this is different build but thanks for the comment . The one I'm doing now is not done yet . Waiting for CableMod to arrive . Ah ok. Let me know when it's complete. I'm curious to see how it turns out! Your parts list says (6) 140mm fans and not 120mm fans... is that right? I have a Corsair 460x and wanna do this as well if possible. I have seven 140mm fans , five corsair and two NZXT . I guess you have to check if your case can support it . Would you mind sending me a link to what you used to connect all your PWM case fans to the mobo? If it's not too much of a hassle I'd really appreciate it. How does it look with the glass panel on? Is it tinted too dark? I would say a little bit too much . It looks good but I like it more clear tempered glass . Actually, this case came first. At least the anidees one did. This case and Anidees tampered case are like one . Its great , in fact all corsair mechanical keyboards are awesome . 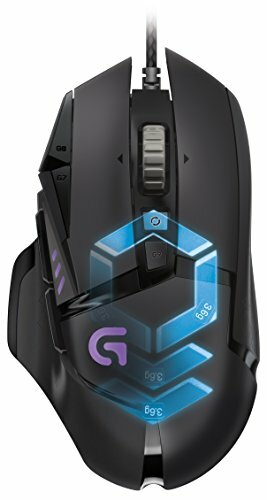 Much easy to use and great response time on buttons , very comfortable for me . 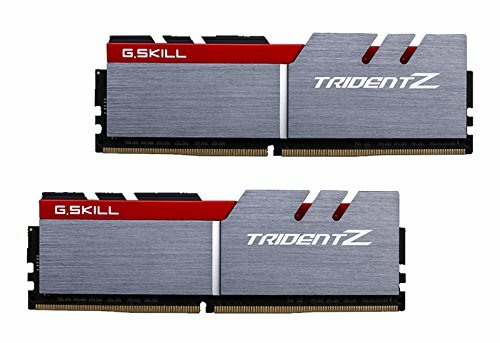 You mean to wait for g skill rgb Trident z ? I thought it released on the 27th? You get it a day early? Only pieces I need are the CPU/Mobo/ & my sleeved cables which I'm ordering next week. Here is the first (I think) Trident RGB build on PCPP. How do you do that faded (grey) small text? Oh yeah, and don't click this. Woah! Thanks for this comment. I would certainly love to have these for my WIP build. Further, do you know of any other incoming rgb ram sticks? These look cool but the jagged edges kind of turn me off. Black and green flavors. Green/black cables, and pretty much any rgb i could throw in for more green. So asus strix green setting, msi m7 z270 green setting, and the Avexir ram sticks. Then the nzxt aio cooler rgb leds (mirror style) also green and the case is the Enthoo Evolv, black. Its basically a solid black build with green leds. Will also add TT Riing rgb fans. In the future i will also upgrade aio into custom watercooling, going for clear uv green cooling. I hope thats enough information from which to make a decision. I do eventually plan to sell/scrap everything to make a new build so rgb would be great.